There are a number of women who have disguised themselves as men in order to serve as soldiers. It would be easy to think that this was a feature of early yeras and one which would be unheard of in a modern army however Dorothy Lawrence was an English reporter who secretly posed as a man to become a soldier during World War I. Aged 19, Dorothy wanted to be a war correspondent but was rejected, on principle, by every newspaper and by the War Office so she set out in 1915 to reach the front on her own. Since the movement of journalists was strictly controlled and women were completely barred from any areas where there was active fighting, Dorothy first went to Paris as a tourist. She tried to reach the front but was refused passage through both the French and British sector. She decided that she would need to disguise herself and, with the help of several soldiers she’d met in a Paris cafe, acquired a khaki uniform and leave pass for a Private Denis Smith. The soldiers had to smuggle the uniform, piece by piece, within their washing. Once Dorothy had her clothing she persuaded two more soldiers to cut her hair and eventually, by bicycle, she managed to get to the Somme. There she was able to join a night patrol of Royal Engineers. The work was found for her by Tom Dunn, an ex-Lancashire coalminer turned British Expeditionary Force (BEF) tunnel digger. Dunn also found Dorothy an abandoned cottage to sleep in and she returned there each night to sleep. She worked for about twelve nights digging and strengthening trenches before being found out. 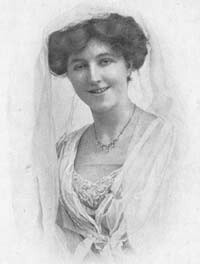 Once it was established that she was not a German spy or a prostitute, she was sent back to London where she tried to write about her experiences for an illustrated monthly magazine, but was forced into silence by the War Office which invoked the 1914 Defence of the Realm Act to silence her. After the war ended she was able to write her book “Sapper Dorothy Lawrence: The Only English Woman Soldier” which was published in 1919. It was well recieved but not a commercial success. With little income and unable to find employment as a journalist, her behaviour became more erratic and she was taken into care and later declared to be insane. She died in an asylum and was buried in a pauper’s grave in New Southgate Cemetery, where today the site of her plot is no longer clear.